Sharing the joy of stories, songs and rhymes with families is something that Ben Lawrence does every day as Calderdale Council’s Early Years Librarian and Bookstart Co-ordinator. But it’s not every day he gets to showcase his work in Parliament. 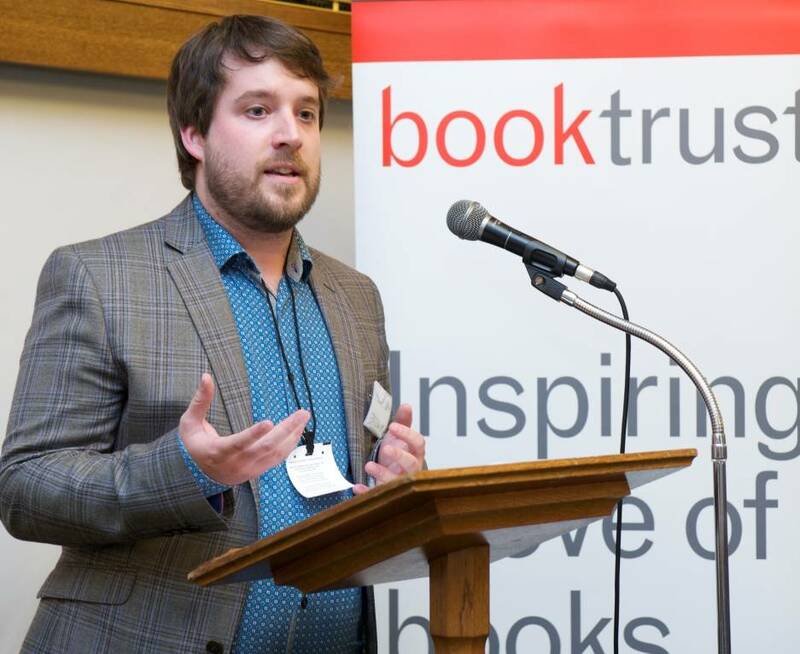 Ben was invited to speak at a reception for MPs in the House of Commons, due to the outstanding success of the Council’s work to engage children with books, rhymes and songs from birth. He talked about his role and the huge difference that libraries make to children and families across Calderdale. The invite came from Booktrust – a national charity aiming to change lives through reading. They were so impressed with Ben’s work to promote their Bookstart scheme in Calderdale that they asked him to talk at their event, which had the theme ‘Reading Together Changes Lives’. The aim was to give MPs a deeper understanding of the support available for families, and how this can help tackle child poverty and educational disadvantage. “Reading together strengthens family bonds and helps children do better at school, whatever the family background. We know that children who are read to every day will be almost 12 months ahead of their age group when they start school. Even reading to them two or three times a week gives them a six-month head-start. This is why the work Ben and Calderdale Council help us to do is incredibly important, as they are making sure no child in Calderdale misses out on the life-changing benefits that reading can bring. Ben runs the popular Bookstart Busy Babies sessions in Brighouse, Halifax and Hebden Bridge libraries. They feature songs and rhymes for families with babies and toddlers and take place throughout the year. Families can also benefit from the Bookstart national book gifting programme, which gives a free pack of books, games and activity ideas to children aged 9 months and again at 36 months. Families in Calderdale can get their packs from any Calderdale Council library. Baby packs are also available from Calderdale health visitors and the pre-school pack from children’s centres and other early years settings. Ben’s role is also to inspire families with children to use their local library more often. Youngsters can be registered with the library from birth, and there are lots of books and resources available for all ages. For more information about Bookstart Busy Babies, Bookstart book packs or other library services for young children, head to the Libraries for children page on the Council’s website or contact Ben Lawrence on ben.lawrence@calderdale.gov.uk or 01422 392620.